BENGALURU: Going on a binge watching spree of popular series and sitcoms is a common thing among millennials these days. 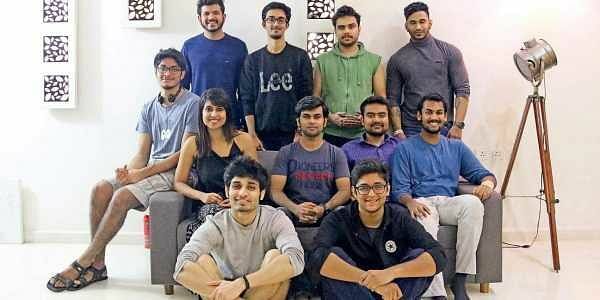 Knowing this, a group of millennials from the city have come forward to use the medium of a web series (disguised as a course) to spread awareness about depression. The series comprises of fourteen episodes of curated therapeutic content of approximately 15 minutes each that will be streamed for four weeks. The series has narrated episodes by a young actor Faraz Khan, who has a degree in psychology and struggled with social anxiety. “There’s humour and science and explanations with a comprehensive CBT (Cognitive Behavioural Therapy) therapy,” says Abinav Arora, a member of Calm India, an NGO that started the initiative. “Nobody is going to watch a science sermon so we have made it simple and emphatic,” he adds. The series is available at a price of ` 399 for the full 28 day course. “One visit to a therapist can cost Rs 1000 or more, a full course is available at this price for the same therapy,” says, Abhinav. The founders of Calm India, Varun Mayya and Shashank Udupa are in their mid 20s. Varun is a young entrepreneur at 23 years. He was earning around Rs 30 lakh in his third year of college at the Manipal Institute of Technology. Being successful at a young age put a toll on him and when he started looking for solutions to tackle his stress he came upon the concept of CBT. CBT is a common therapy technique that follows a simple scientific principle; your thoughts affect your emotions, your emotions affect your behavior and behavior affects your thoughts. Keeping this therapy in mind, Varun and his team thought of weaving together accessible content and producing a series on the same. Calm India was launched on November 12. It received over 160 enrollments within a week of its launch. After a year and half of research and collaborations with experts, a team of 15 people decided on the online tool to reach out to as many people as possible in the country. Over five crore Indians suffer from depression notes a World Health Organisation study in 2017 and suicide is the second leading cause of death among those in the age group of 15 and 29 according to the report in 2015. Added to the statistics the founders of the project were baffled to know that there is one licensed therapist for every four lakh people in the country and therapist are expensive to afford. While it is reaching out to the masses, Calm India wants to make content available in regional and local languages and will have dubbed very soon.